Chapter member, Roberta Wallace, MSW, LCSW clinical social worker at Duke University Health System in the area of Solid Organ Transplant, has invited NC Chapter members, Chris Toenes, MSW, LCSW and April Parker, MSW, LCSW to speak at a continuing education session for the Duke Health System Clinical Social Work staff on October 11, 2017. The topic will be “Mindfulness Practice with Groups through the Lifespan.” The chapter is also working on plans for a local fall group work conference. The N.C. Chapter of the International Association of Social Work with Groups (IASWG) held its spring 2017 symposium, titled “Mindfulness Across the Life Span” on the campus of N.C. State University on March 4. April Parker, MSW ’11, presented a workshop on “Mindfulness Practice Implications with Child and Geriatric Groups.” Parker, the chapter’s professional development and program chair is a social worker at Central Regional Hospital. She also has a private practice and does clinical supervision. David Orovitz, LCSW, Parker’s former supervisor at Central Regional and now a full-time Tai Chi instructor joined Parker for part of the workshop to lead a demonstration on how Tai Chi and Qigong exercises can be adapted for persons with physical or cognitive limitations. Chris Toenes, LCSW, an alum of N.C. State presented an experiential workshop on “Practicing Mindfulness for Substance Use Disorder Relapse Prevention and Long-Term Recovery.” Toenes is a therapist at TROSA and facilitates groups on recovery and grief and loss. Dr. Karen Bluth, presented the final workshop of the day on “Teaching Mindfulness and Self-Compassion with Adolescents.” Dr. Bluth holds a faculty position in the Program on Integrative Medicine in the UNC School of Medicine and runs many mindful self-compassion groups with adolescents and adults. 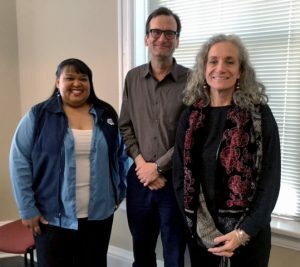 Jones, along with School clinical assistant professor Marilyn Ghezzi, and Willa Casstevens from N.C .State’s Department of Social Work, started the state chapter of IASWG four years ago. 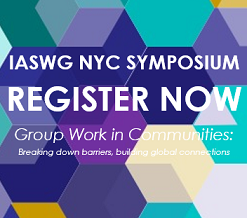 The chapter is open to any practitioner interested in group work. The group plans to continue growing its membership by offering online webinars in addition to two workshops per year. By Anne Jones, clinical professor. To view original web article, click here.